Captain Hiram Harding – the young captain of a packet clipper ship – had this stately Greek-Revival style home built in 1839 for Lydia, his bride of one year. 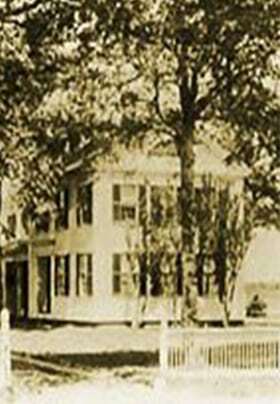 The Captain’s House Inn and the Chatham Gables Inn across the street (formerly the Moses Nickerson House) were both built by the contractor Captain Timothy Loveland. The moldings, trimmings, and blinds were all made with hand-made tools, some of which are still in the possession of Captain Isaac Loveland, son of Timothy. The lumber used in the construction of these two historic Cape Cod houses was shipped from the state of Maine and came in schooners to the old wharf in the Cow Yard. At that time, large vessels could easily navigate into the harbor. Captain Harding and Lydia had nine children. Their oldest son, Joseph, also became a sea captain. 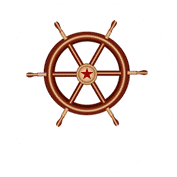 Many of the rooms are named after their daughters (Eliza Jane, Mariah, Hope, and Hannah Rebekah) and some of the ships that Harding captained (Whirlwind, Wild Hunter, and Northern Light). 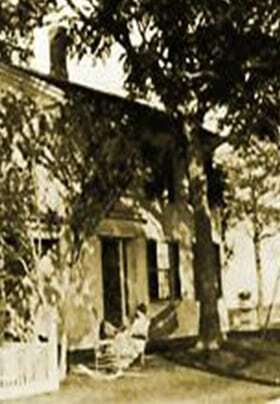 In 1915, Mariah, the youngest daughter, sold the home to Daniel Manson, a shipping magnate from Salem, MA. Manson used the Captain’s House as a summer residence and, in 1928, moved the “bow roof cape” (circa 1800) to the estate. It is thought that the house was floated over from Nantucket or down from Maine, though the exact origins are unclear. Now known as the “Captain’s Cottage,” it is a well-preserved and detailed example of a traditional regional dwelling; Manson used this as a retreat where he entertained many of his cronies with bourbon and poker. Daniel’s son, John, remodeled the cottage, adding bathrooms and walnut-paneled interior walls. He also founded Chatham Ford on Main Street in the 1930’s. In the early 1950’s, the Manson family sold the estate – which included an 11+ acre farm and several cranberry bogs – to Dr. Walter Ryer, a dentist from Hawthorne, NY. The Ryers used the estate as a summer home and later converted the main house to a bed and breakfast, while the barn and the cottage became rental units. The Palmer family purchased the property in 1965 and continued running the B&B business, as well as subdividing much of the estate into single family dwellings along what are now called Palmer Drive and Manamock Drive. The Runyon family purchased the remainder of the estate (1½ acres) in 1972 and opened a boarding house in the main building, catering to families in the summer months. At that time, the “Carriage House” was a barn and stables, the “Captain’s Cottage” was a two-bedroom cape, and the “Stables” was a tool shed. In 1983, the Eakins purchased the property and turned it into an inn with eight bedrooms. During their 10-year tenure, they converted the barn and stables into a five-unit “Carriage House,” and the “Captain’s Cottage” into three units. The tool shed became a dormitory for young girls from England and the Continent; the girls worked as wait staff, front office personnel, and housekeepers. The inn closed in mid-November and reopened in mid-March. During this period, the Eakins greatly improved the property to the point that, in 1989, the inn was awarded AAA Four-Diamond status. Dave McMaster – a retired Navy Commander and ex-corporate CEO – and Jan, his English wife, took ownership of the inn in 1993. They converted the dormitory into what is now the luxurious “Stables” building in 1997, and equipped all of the rooms with fireplaces and TV/VCR combinations and seven of the rooms with whirlpools. The McMasters continued to improve the inn, maintaining its AAA Four-Diamond status throughout their 13-year tenure. Jill and James Meyer have owned the inn since 2006 and continue to make the Captain’s House Inn one of the premier bed and breakfasts on the East Coast. The grounds are a delight with English gardens, a large herb garden, several fountains and patios, and plenty of outdoor seating with comfortable Adirondack chairs. Guests can enjoy a swim and a poolside lunch at the outdoor heated pool, or work off those calories in the fitness center. 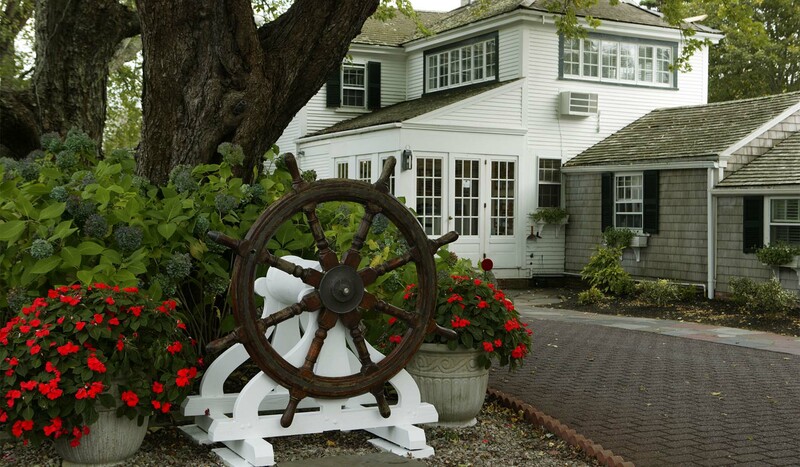 The Captain’s House Inn is the perfect place for a romantic getaway or peaceful retreat.